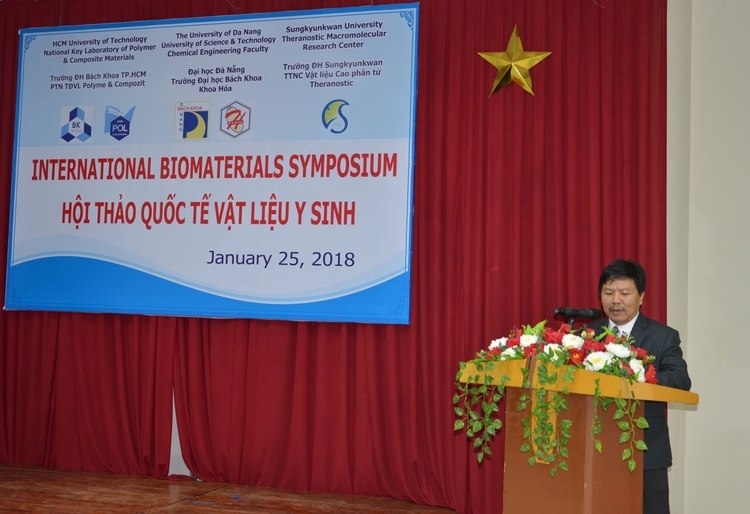 On 25/01/2018, the International Biomaterials Symposium was co-organized by the Faculty of Chemistry, University of Science and Technology - the University of Danang, Key Lab of Nano – Composite Material - Ho Chi Minh City University of Science and Technology and Theranostic Material Research Center, Sungkyunkwan University, Korea. Attendees of the Symposium were Assoc. Prof. Dr. Doan Quang Vinh - Secretary of the Party Committee, Rector of the University; Assoc.Prof. 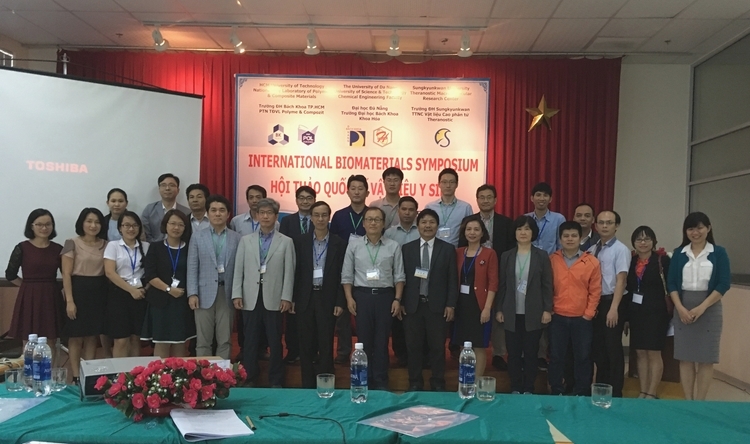 Dr. Nguyen Van Dung - Dean of Faculty of Chemistry, professors of Sungkyunkwan University, Korea; teachers and representatives from the Polymer & Composite Laboratory - Ho Chi Minh City University of Science and Technology and other researchers, faculty and students in the field. The Symposium was a place for professors and researchers to exchange and introduce the latest research achievements and help inspire students to conduct scientific research. We hoped that this three-unit collaboration will open up new partnerships in research to contribute to the advancement of biomedical sciences and thus improve people’s lives as a whole. The seminar was successful and meaningful.